Pole position for Scott Dixon means that he’s in the prime starting spot for the Indy 500 on Sunday. However, it’s not uncommon for lower-ranked qualifiers to win the race. But what about rookies winning the big one? Surely it’s out of the question? Well, not so fast, as nine drivers have won the race at their first attempt. And with four rookies in the field this year (Jack Harvey, Fernando Alonso, Ed Jones and Zach Veach), we take a look at some of the more recent examples. The Colombian may have won the 2015 Indy 500, but it’s his first win in 2000, as well as a CART title win, that made him hot property. The period was marked by the American racing split, that saw IndyCars split in two, between the CART racing series and the Indy Racing League (IRL) franchise. However, Montoya’s 2000 entry into the Indy 500 marked the first time that a CART team was crossing over into IRL. As for the result? Well, the rookie dominating the race, leading more than two-thirds of the 200 laps and eventually winning by several seconds. Montoya would go on to win in 2015 as well, under the unified IndyCar Series banner. A stalwart of CART and IndyCar Series, the Brazilian is pretty much a household name to motorsport fans in North America. And there’s little wondering why, when he won his first Indy 500 too. Castroneves was no stranger to open-wheel racing at the time though, having had three seasons in CART before making the jump to the IRL-run race. In fact, the 2001 Indy 500 saw CART racers occupy the top six spots. If you thought that was a fluke win, well, the Brazilian has won the race three times in total (2001, 2002, 2009). Only AJ Foyt, Rick Mears and Al Unser Sr. are ahead of him, on four victories apiece. 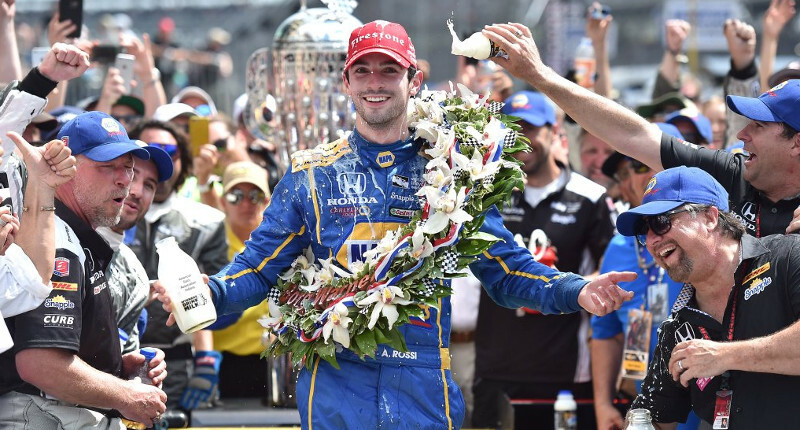 An American winning the Indy 500? Yep. Last year saw Alex Rossi cruising to the line to take victory at the first attempt. It’s made even more impressive when you remember that he had no oval experience at all, having spent almost his entire racing career in Europe. The manner (or is it Manor? Heh) of victory was jaw-dropping as well, as Rossi used hypermiling techniques to skip what looked like an inevitable pitstop with a few laps to go. His car would run out of fuel on the slow-down lap.